Konica Minolta bizhub® 6500 production color printers are purpose-built for high-volume production -- and make on-demand color print runs cost-effective for any sized business.  65 ppm output in both color and B&W for short-run, right-sized digital color printing. It's powerful Creo® image controller give us advanced color management and job handling tools. Variable printing lets you customize audience-of-one documents for customers and mailing lists. The KM 6500 prints on paper sizes up to 13" x 19" as well as heavy and coated stock -- maximum 300 gm2.